Green tea drinking every day is an excellent way to diet. If you drink four+ glasses of green tea per day, you’ll eat less and it will jump-start your body’s metabolism. A diet with green tea helps you lose weight because it blocks the absorption of carbs and helps your body to burn the fat you have stored. Green tea is also a powerful antioxidant, and it may even offer protection from some diseases. The pounds will start to disappear if you drink green tea, eat sensibly and exercise moderately. Many of green tea’s bioactive compounds make it into the tea when it is made. This allows green tea to offer you high levels of nutrients that are important for your body. It packs catechins and flavonoids, which are powerful antioxidants. They reduce free radical formation in your body, which protects molecules and cells from damage. Free radicals play a part in many diseases and in the aging process. 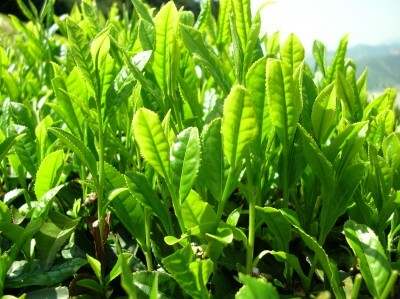 Green tea also has minerals that are valuable for good health. Choose a high quality of tea, since brands of lower quality may contain excess fluoride levels. Cold or hot, green tea is a pleasant way for you to awaken in the morning. Drinking eight ounces of brisk green tea in the morning gives your day a kick start to burn more fat. Its antioxidants will help in boosting your immune system, too. Drink eight more ounces of green tea before you sit down for a healthy breakfast. This will help you feel fuller, so you’ll eat less. Don’t skip breakfast completely. Eating breakfast helps boost your metabolism. Drink your third glass of the day a bit before your healthy lunch. You’ll get that extra filling that green tea offers, along with its fat burning properties. Drink your fourth glass of green tea before your healthy dinner. It offers the same benefits in the evening as it does during the day. You don’t have to stop after four glasses of tea, though! Anytime you feel hungry, drink a glass of tea instead of grabbing a snack. Green tea has natural diuretic properties, and if you don’t drink any other beverages, it can cause you to become dehydrated. Drink the same amount of water as you do green tea. This works well, because most professional nutritionists suggest drinking eight glasses of non-soda per day. Green tea served cold will allow your body to burn more calories to heat itself. Your body will need energy and therefore calories to warm the cold liquid. Remember that green tea contains caffeine, so you may not want to drink it right before you go to bed. L-theanine, an amino acid found in green tea, works with caffeine to help maintain your alertness during the day, but you don’t want it keeping you awake at night, too. How does this Green Tea Diet Work? There are discrepancies among nutritionists about how green tea works for weight loss. Some believe that it may be the caffeine. 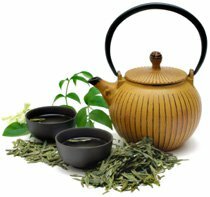 More researchers think it is Epigallocatechin gallate (EGCg) in green tea that produces weight loss. EGCg increases your metabolism, lowers your “bad” cholesterol levels and neutralizes free radicals. EGCg may also aid in controlling your body’s glucose level, by helping it to control the way your body absorbs carbs. This may help in control of your appetite and THAT results in losing weight! Does it matter what brand you buy? Yes, it does! Some products have higher quality tea leaves and fewer unnecessary, additional ingredients. Tea itself is not a great source for vitamins, so look for the brands that use natural ingredients with no unnatural preservatives. Do flavored green teas offer the same benefits? 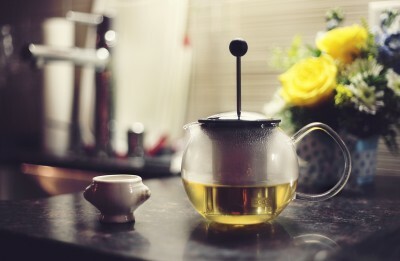 Green tea benefits are not noted to be lessened by flavor additions. We’re referring to cranberry green tea, pomegranate green tea, etc. If the flavoring has sugar in it, however, that will add calories. So basically, teas with peppermint or other flavors are fine, as long as they don’t have artificial sweeteners or sugars included. Can you use green tea extracts if you’re not in a tea drinking mood? Yes! When you add green tea extract to your water, you can get the green tea benefits while you’re on the go. Depending on the formula concentration, 1ml of extract of green tea gives you nearly the health benefits as drinking about eight cups of tea. Remember that your body still needs fluids to remain healthy. Green tea works for many people, but there is no 100% guarantee that it will help you in your weight loss regimen. There simply haven’t been sufficient studies that provide hard evidence on which to base our recommendations. Even if it doesn’t help you lose weight, it does have other benefits for your health. The United States Food & Drug Administration (FDA) doesn’t control what substances and how much of each substance are included in supplements. You should know that pills that contain green tea, available over the counter (OTC) may not have the same quality as real green tea.